The LEGO Death Star was big, but this is bigger. At almost 6,000 pieces and measuring 20 inches wide by 16 inches tall, the LEGO Taj Mahal is the biggest LEGO set ever made. Both large and majestic with amazingly detailed features such as minarets, domes, arches, and stairs; the LEGO people estimate it will take over 30 hours to build this sucker. As part of the LEGO Exclusives series, the Taj Mahal is only available online at a cost of $299. 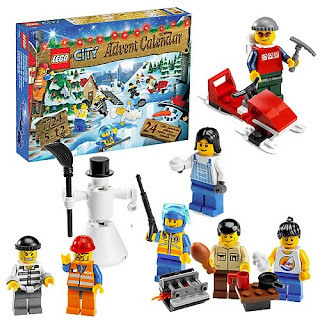 For LEGO fans on a smaller budget, the 2008 LEGO Advent Calendar is now available for order. It features 24 days of LEGO fun and surprises, including over 10 mini-figures and 196 total pieces for $29.99. This is much cooler than the traditional candy calenders, and I pre-ordered one myself.